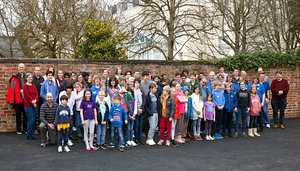 It is not too late to book for the Wessex Youth Bridge Weekend, which takes place this weekend (6th-7th April) at Cheltenham Bridge Club (with accommodation at Cheltenham Ladies’ College). This is always a superb event packed with bridge fun, some of the best teachers in the country and great competitions too. The cost is just £60 including overnight accommodation, or £35 for a non-residential place. Parents are more than welcome as well! To book, please complete the form here AND also e-mail Ro Kaye (rokaye@icloud.com). Bookings should be made as soon as possible to help with the organisation of the weekend.